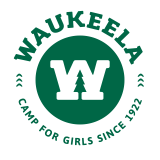 After completing the CIT program, Waukeela girls participate in one last year of leadership training before becoming counselors. For these girls, who are entering 12th grade, our Service Exploration Project (SEP) expands upon the skills learned in the CIT program. During this four-week program, participants spend two weeks living in a cabin and two weeks on an international community service trip. On this trip to Nicaragua, Waukeela girls work alongside local families to help build housing and serve the community. When they return, they are responsible for sharing their experience with our Waukeela community. This trip helps expand the worldview of our current campers and teaches valuable lessons to our entire camp community. This program can also count toward college community service requirements.